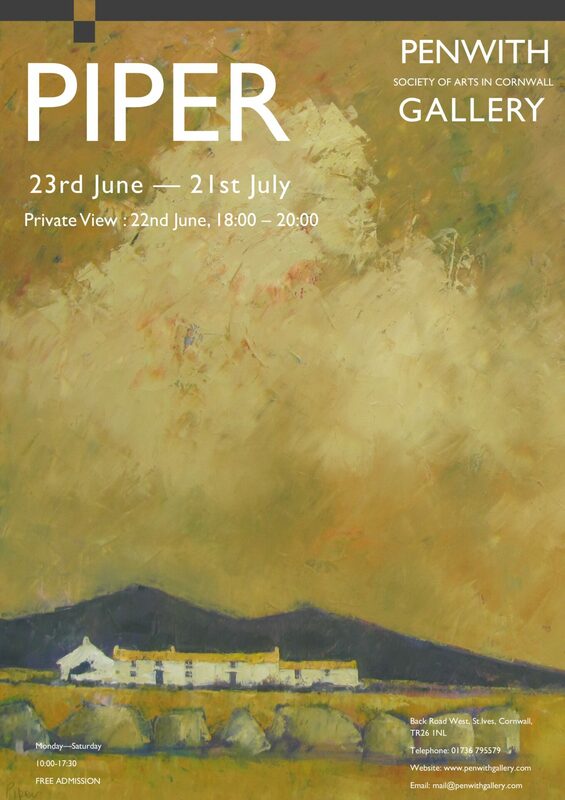 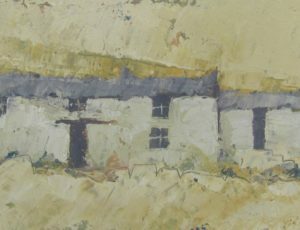 A visit to the Penwith Gallery in 1964 as a seventeen-year-old student began a lifelong involvement with painting and the gallery for John Piper. 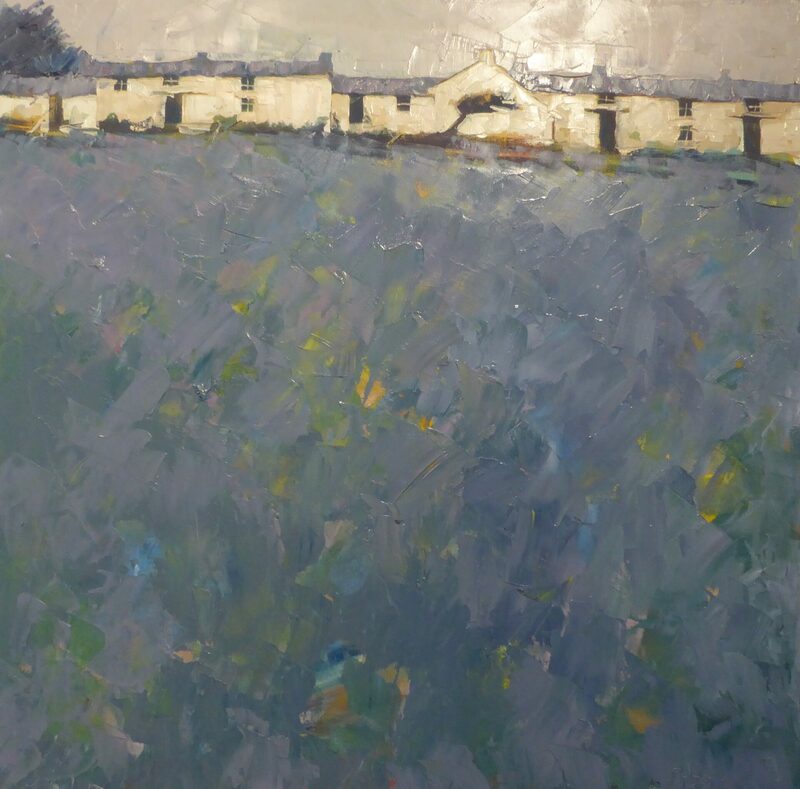 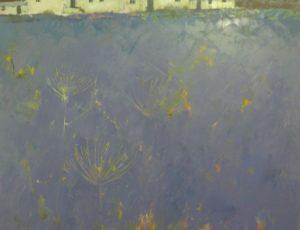 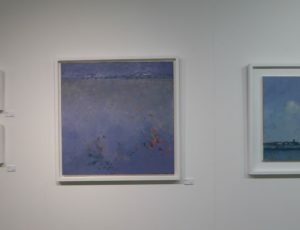 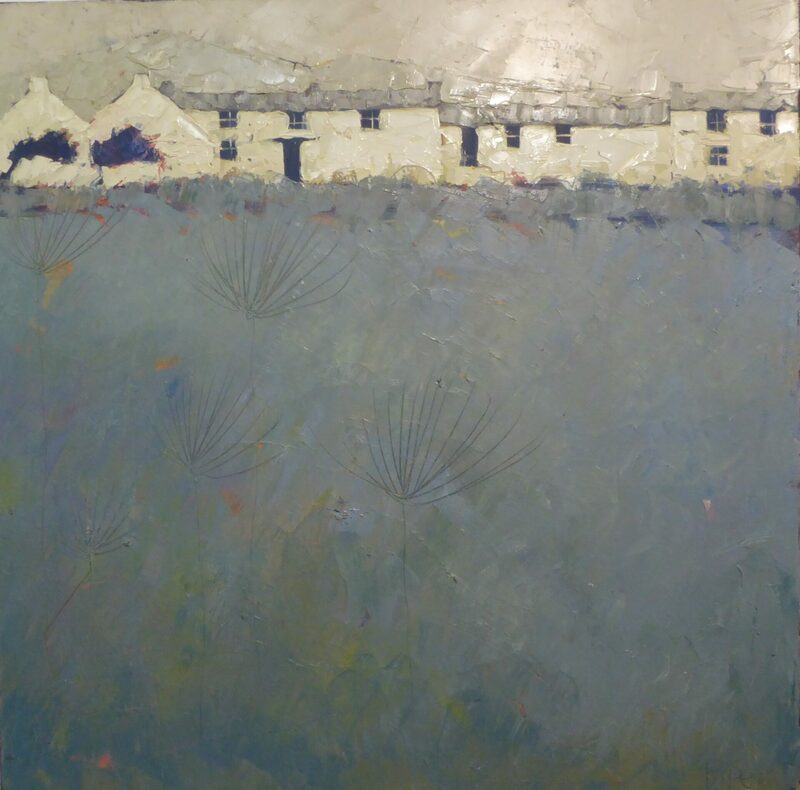 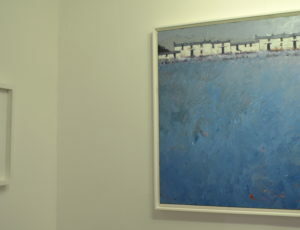 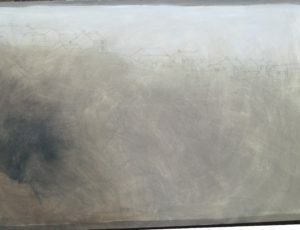 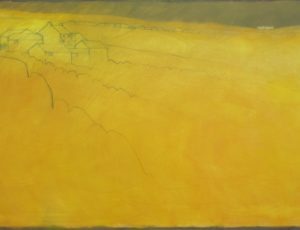 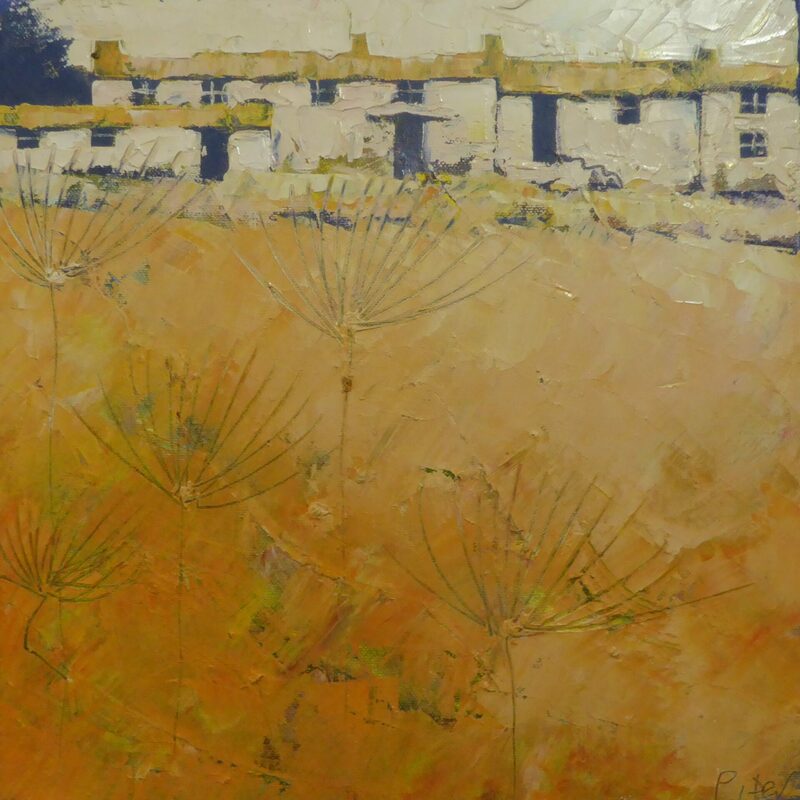 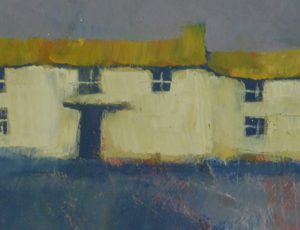 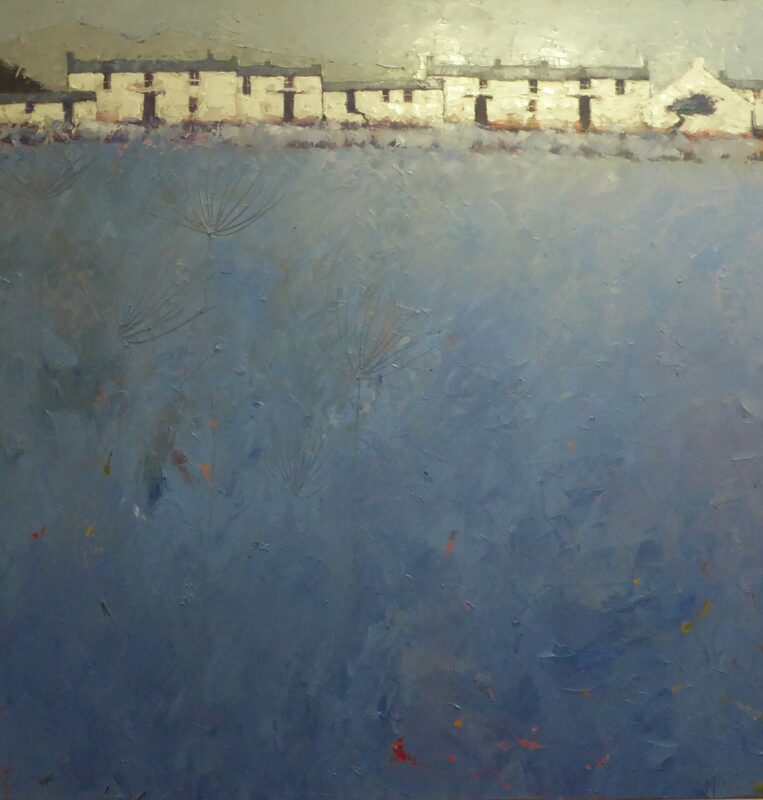 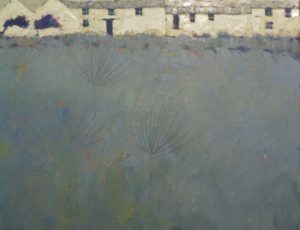 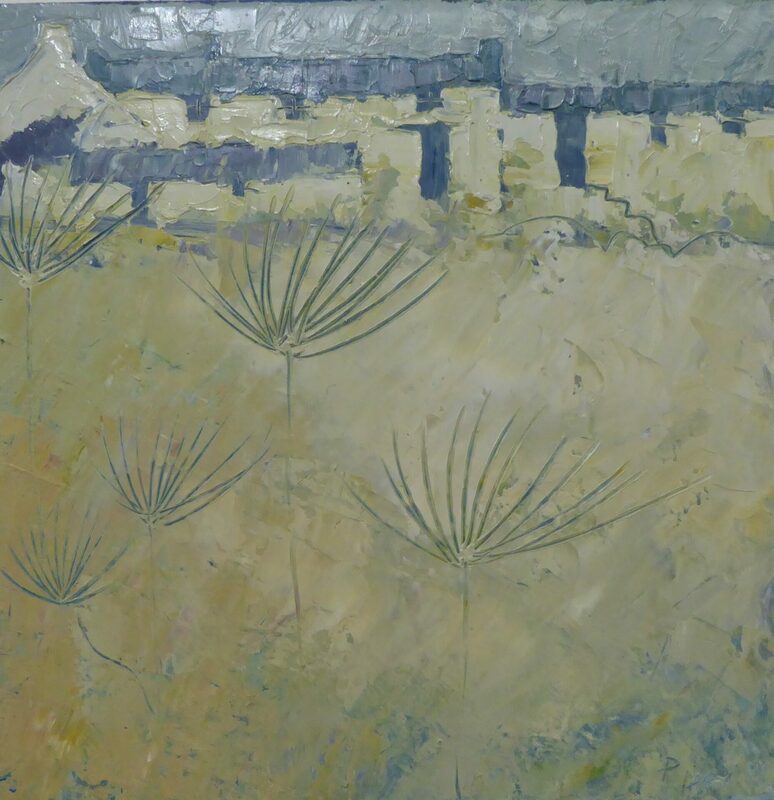 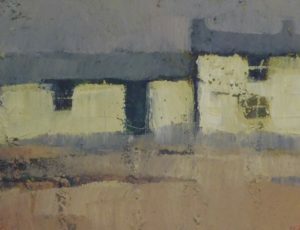 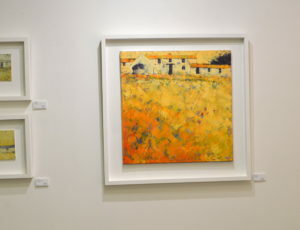 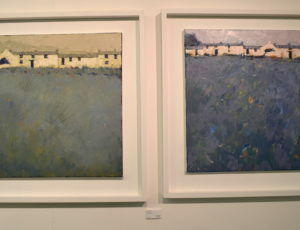 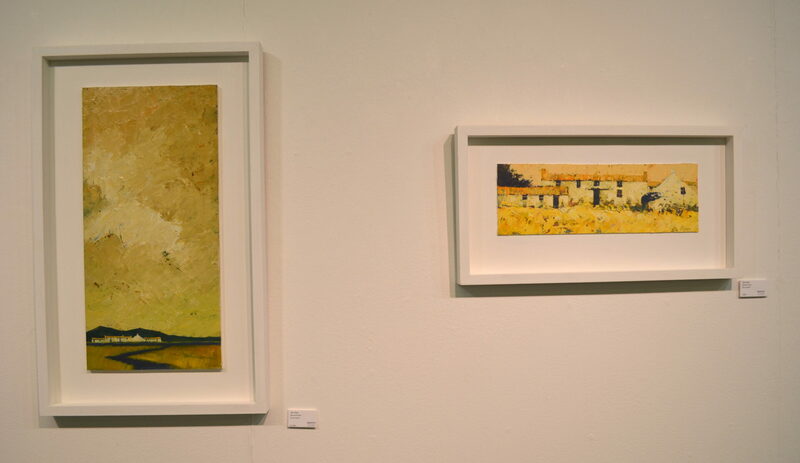 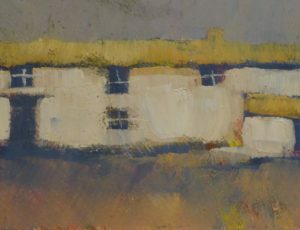 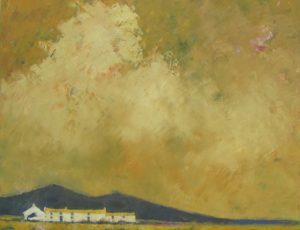 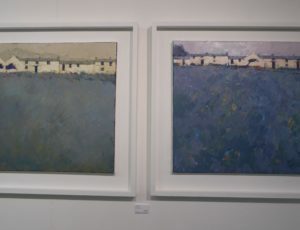 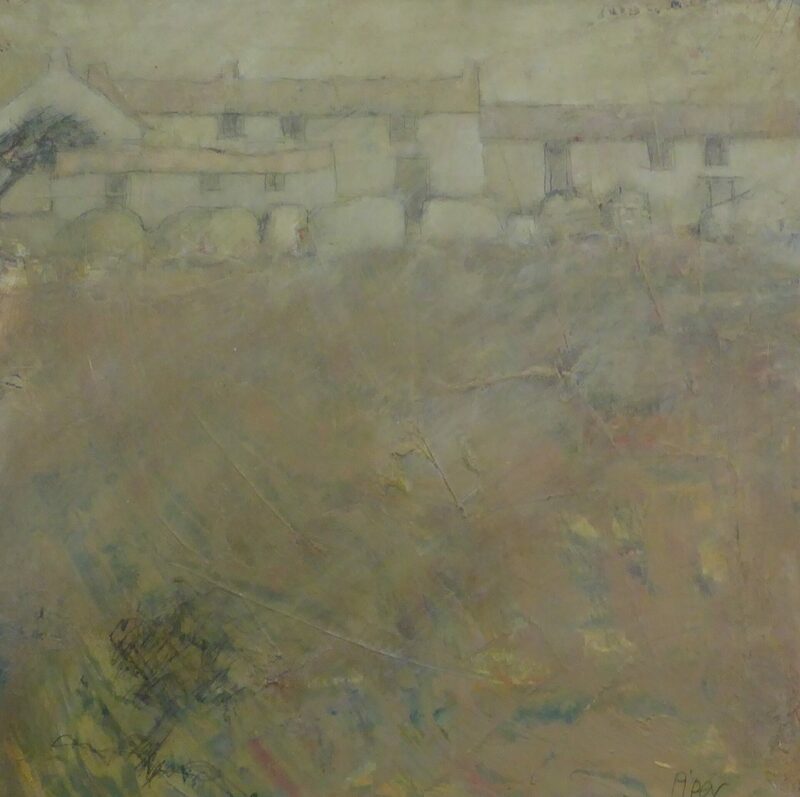 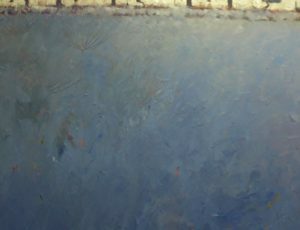 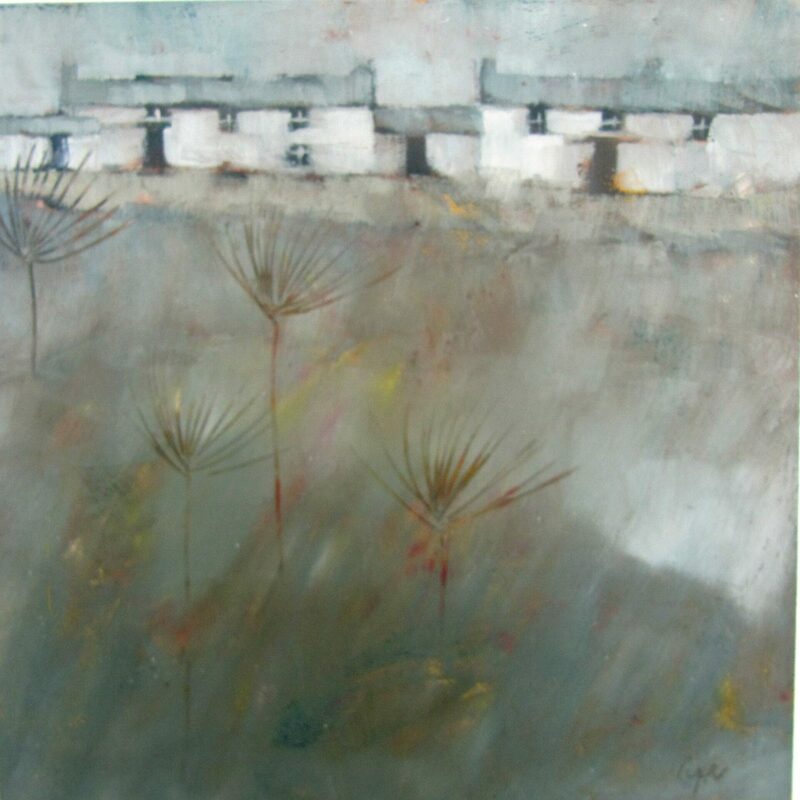 In 1969 he had his first painting exhibited as an associate member and after a spell with the Newlyn Society of Artists became a full member of the Penwith Society. 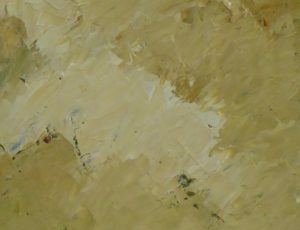 Since then he has been actively involved with selection and hanging committees and felt privileged to become its chairman in 2016. 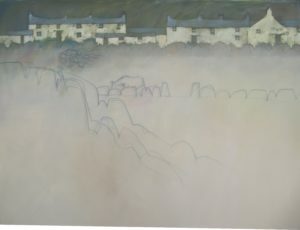 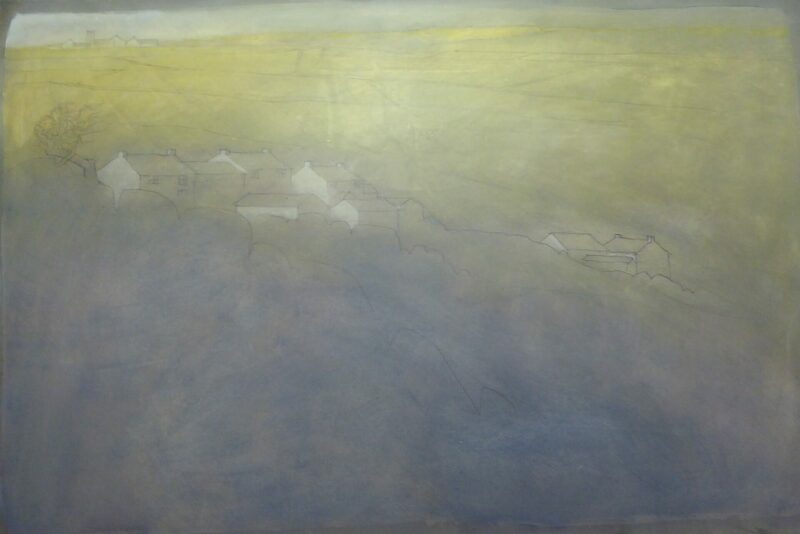 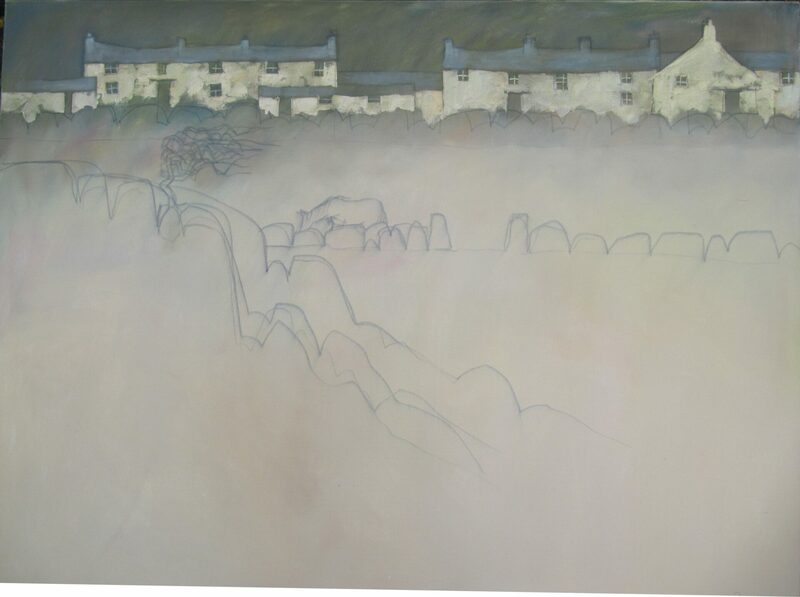 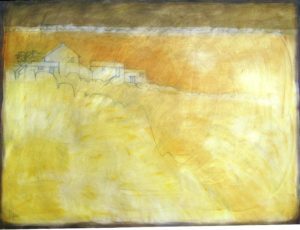 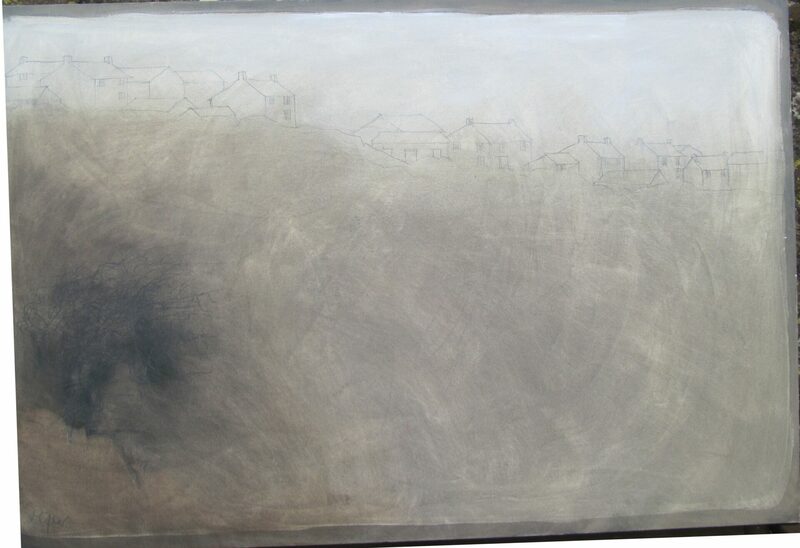 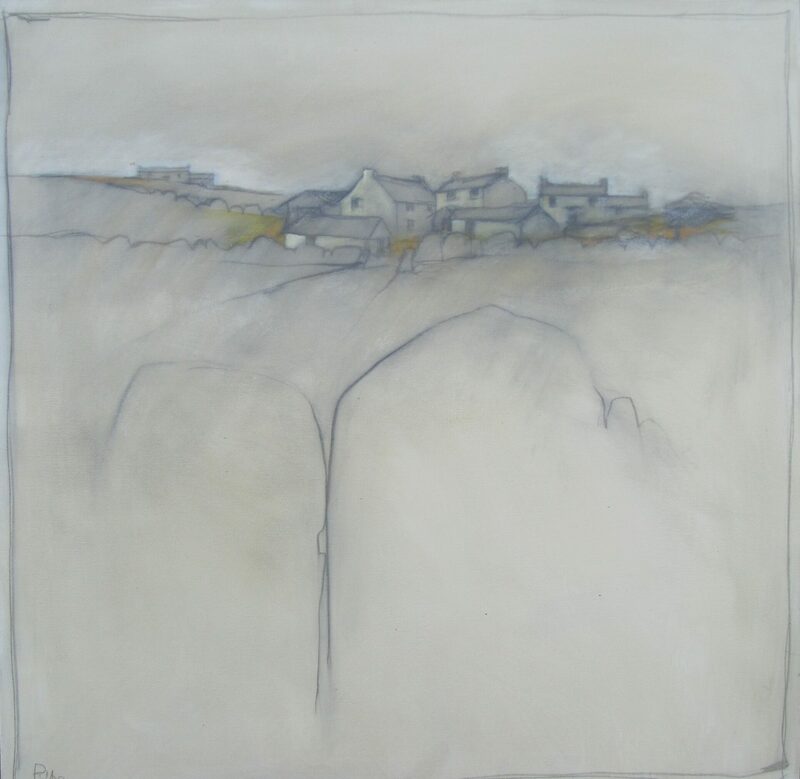 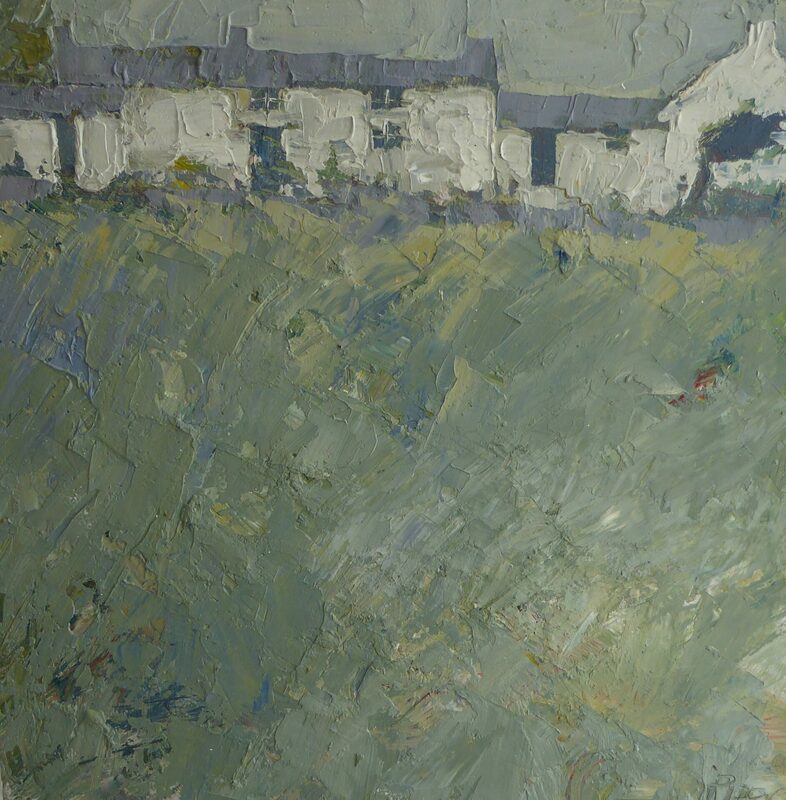 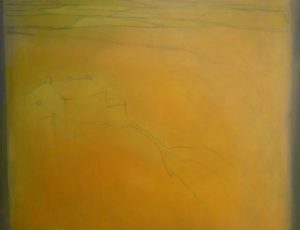 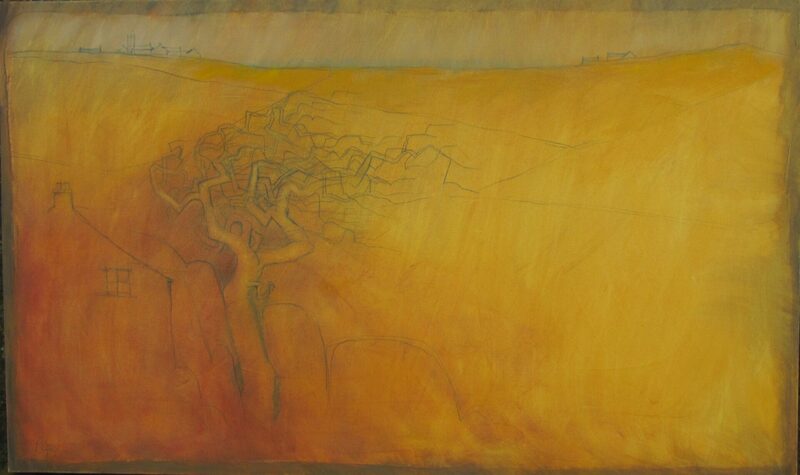 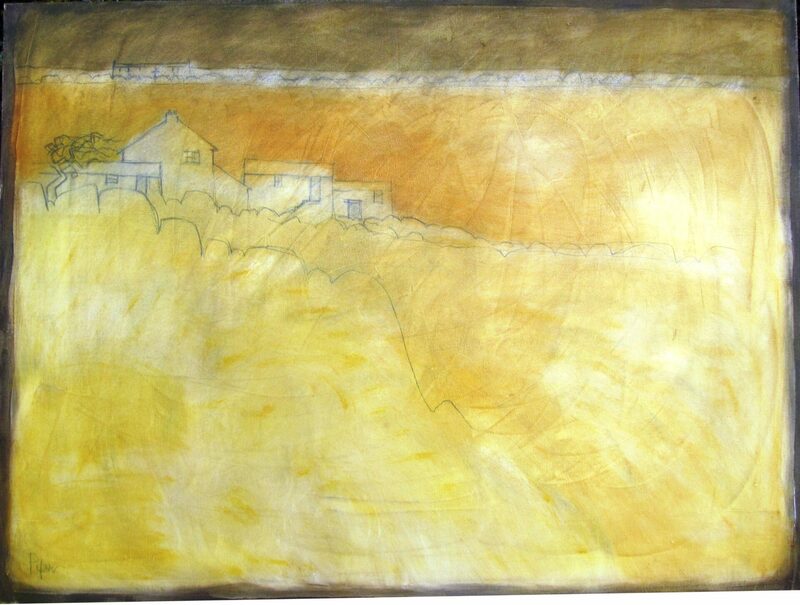 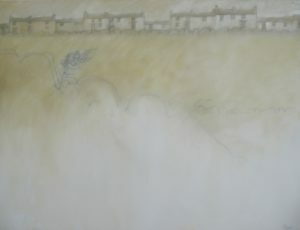 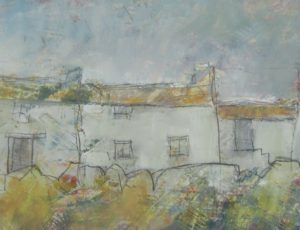 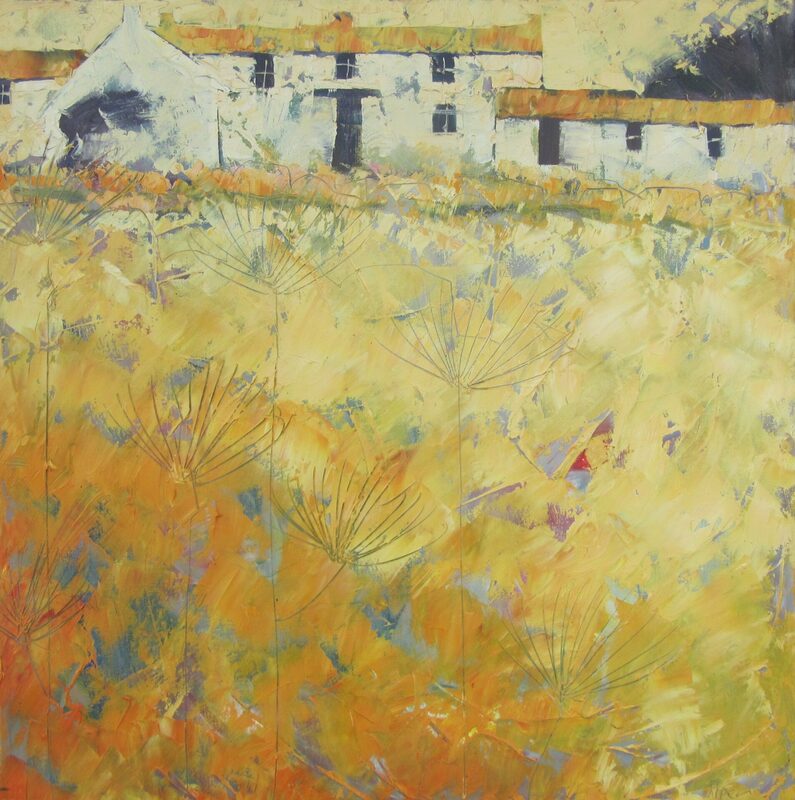 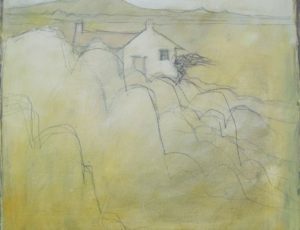 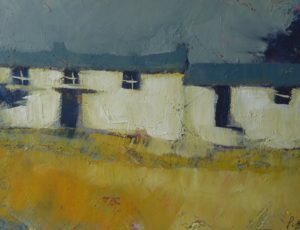 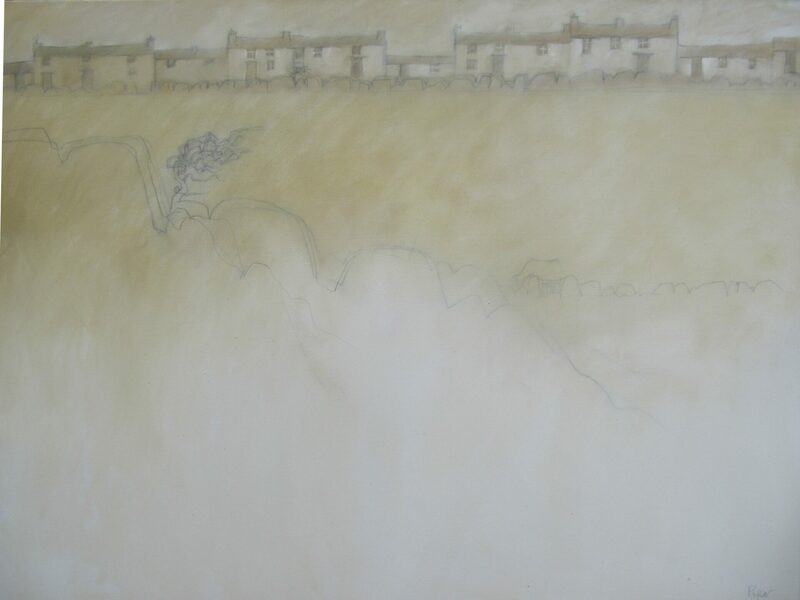 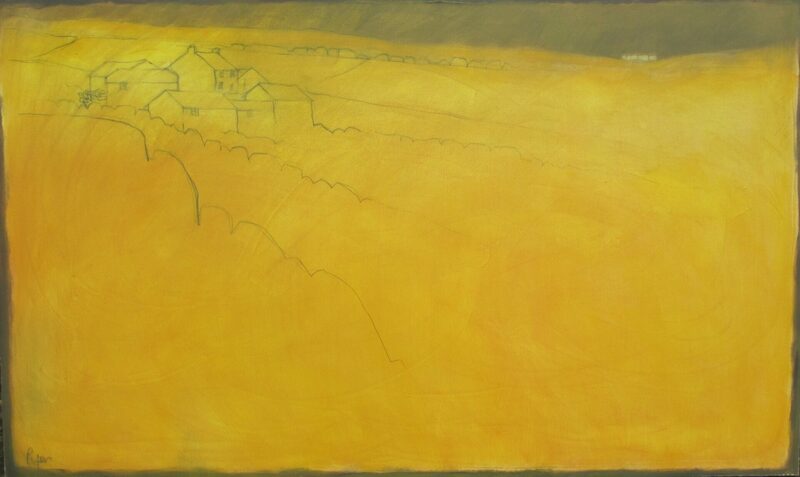 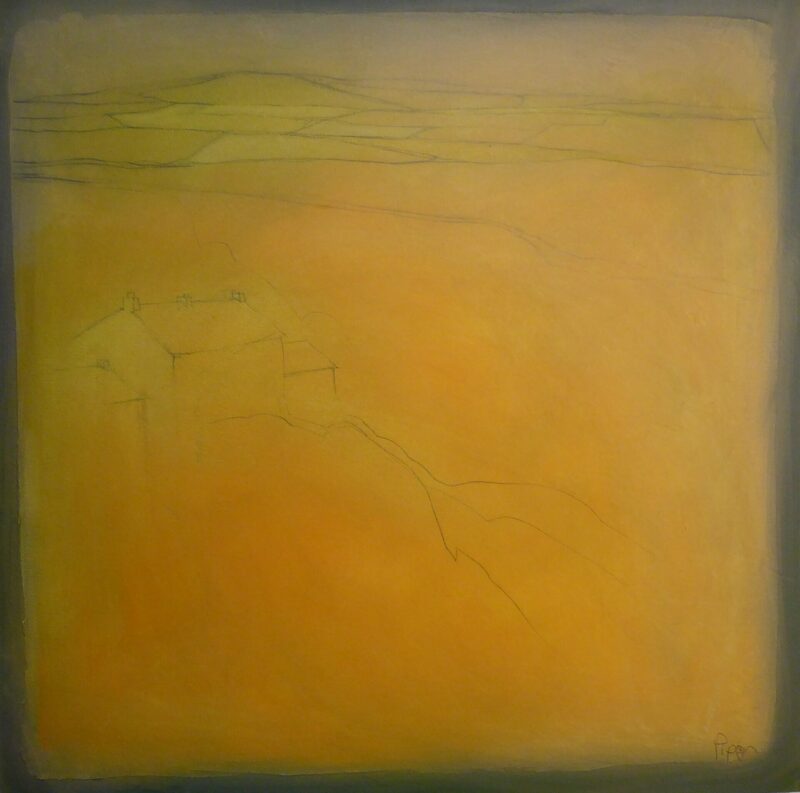 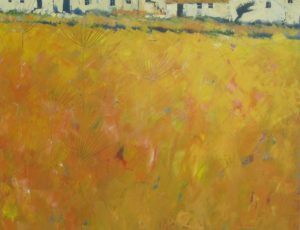 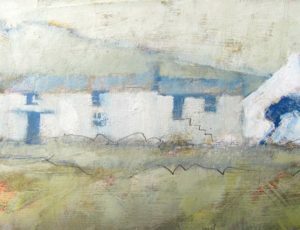 Drawing, painting and the landscape of West Penwith have become one for him. 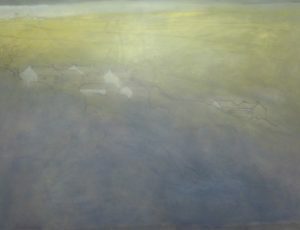 If a line could be drawn on the map between St Ives and Penzance it is only that area to the west which has been a constant source of inspiration. 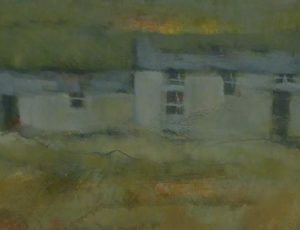 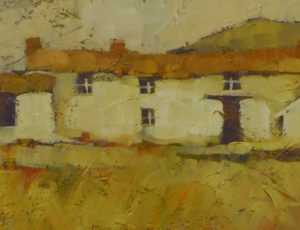 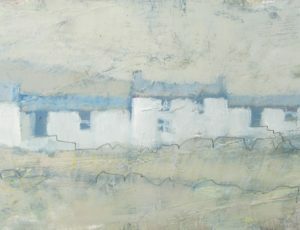 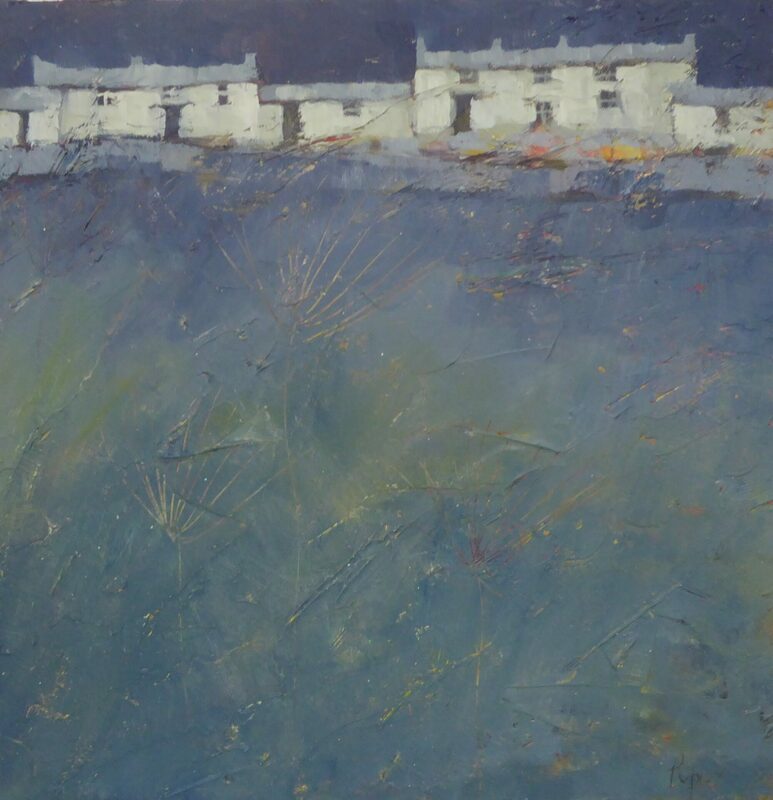 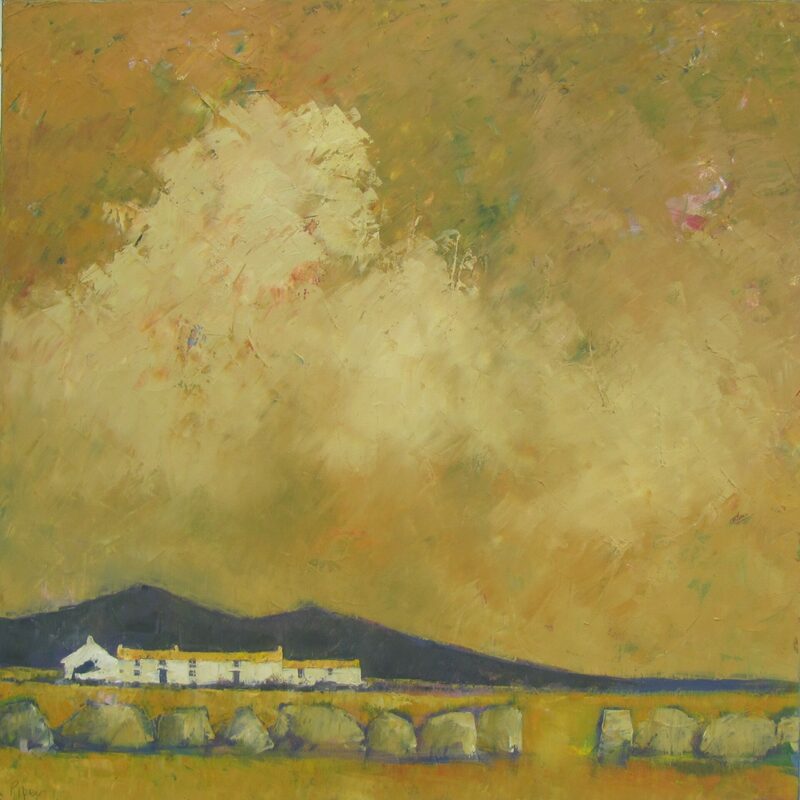 Moorland, hamlets, isolated granite cottages, blackthorn trees and ancient field systems are his subject matter. 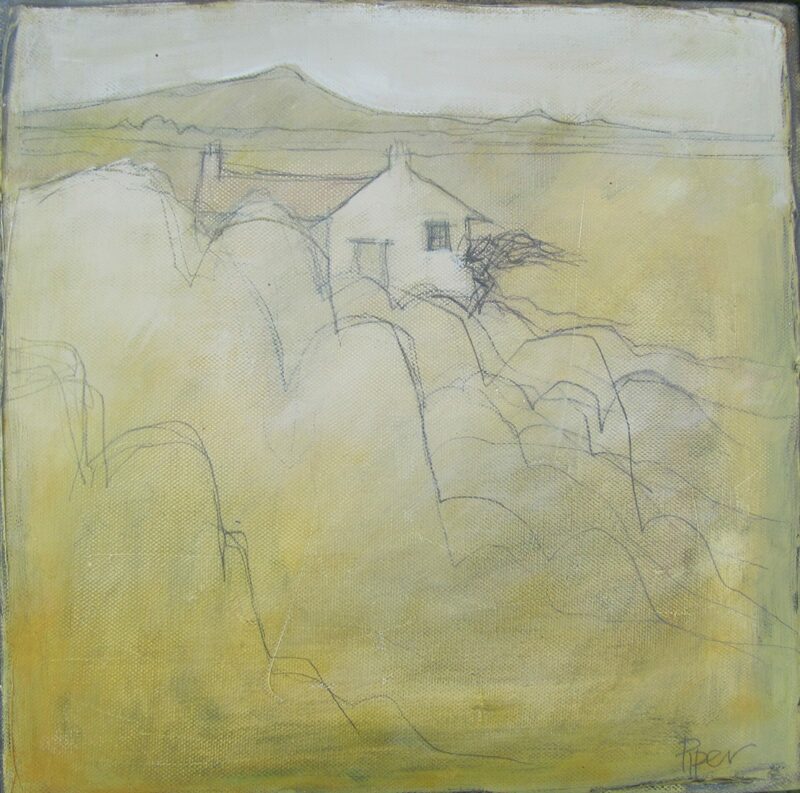 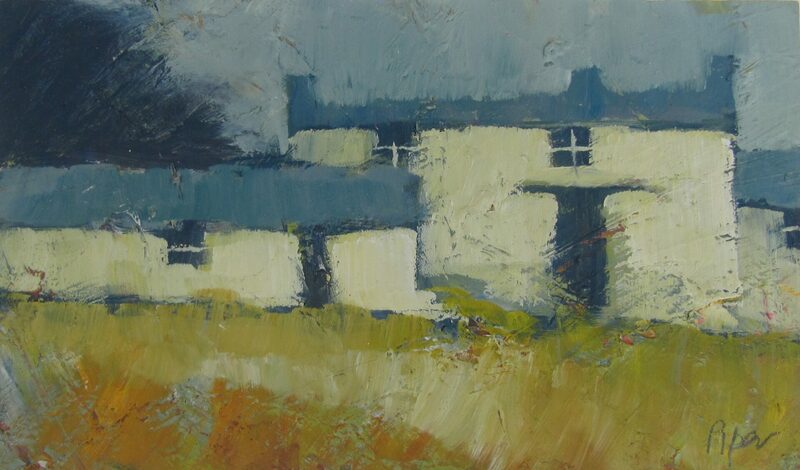 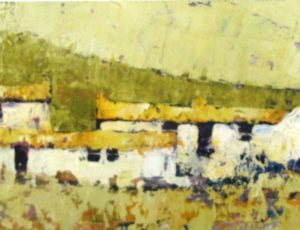 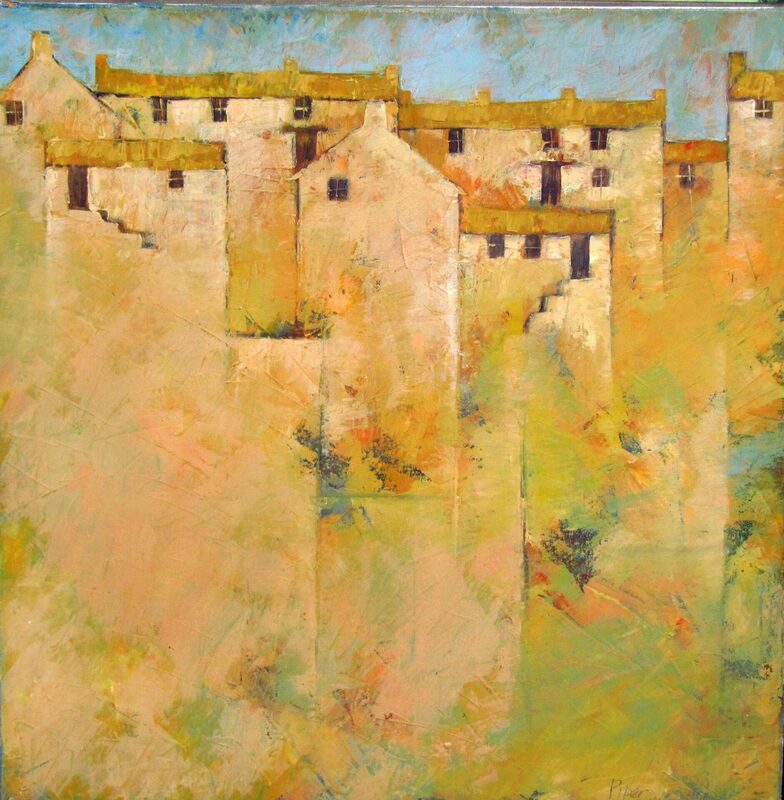 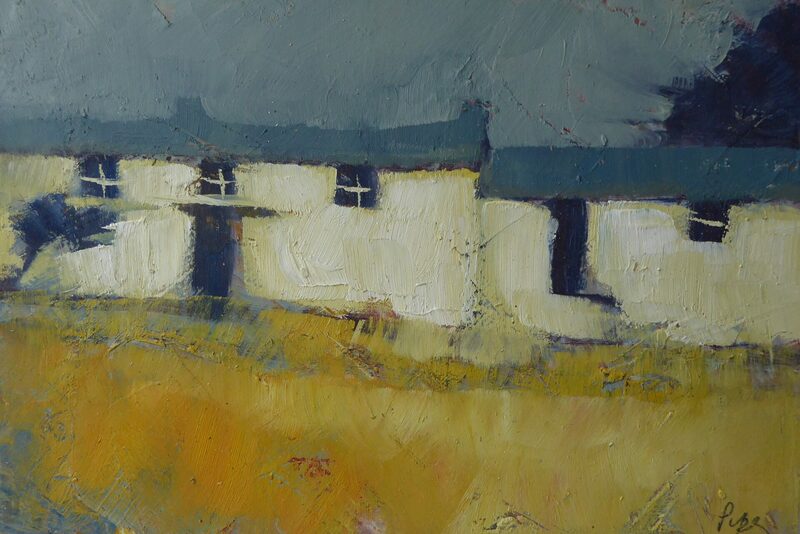 Seeing the lichen on boulders and slate roofs influenced the resultant textures on his paintings. 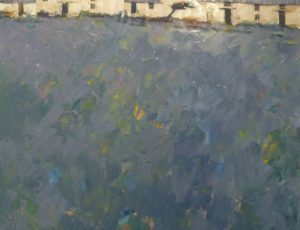 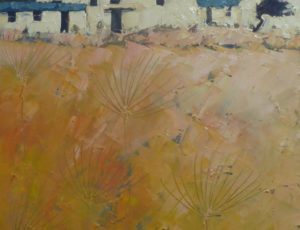 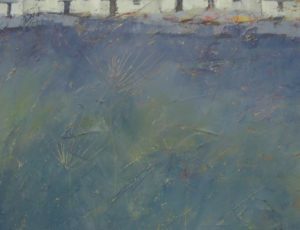 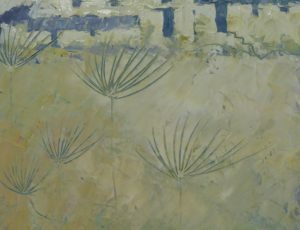 Palette knives and sandpaper are used to scratch across the surface of the painting, exposing previous layers of paint which are allowed to show through in the finished piece. 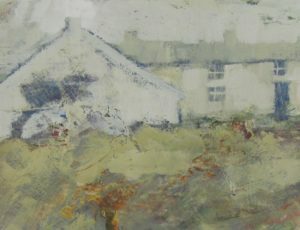 The landscape of West Penwith, particularly that of the north coast, has been scraped and scoured by both weather and man. 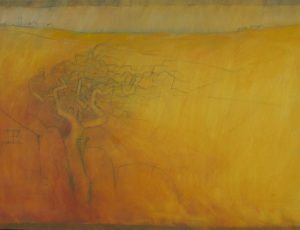 Westerly winds and rain, together with centuries of mining and the spilling of its waste, have created a landscape at its most basic. 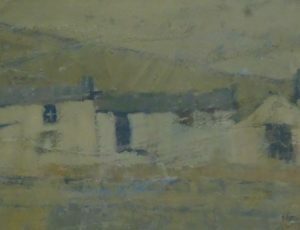 It is this which John is after in his paintings. 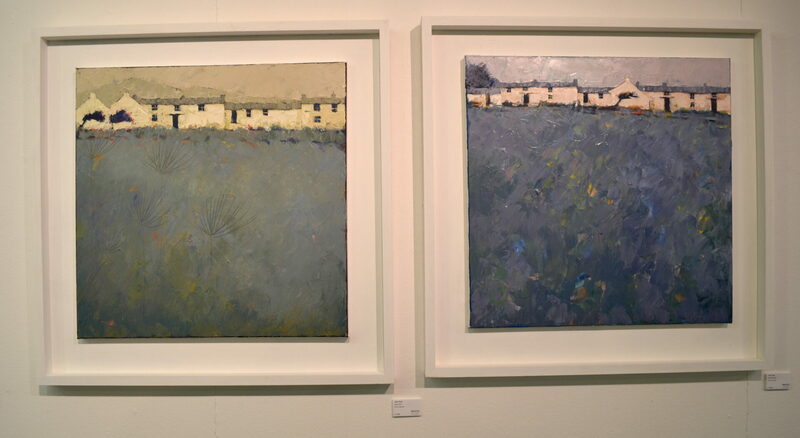 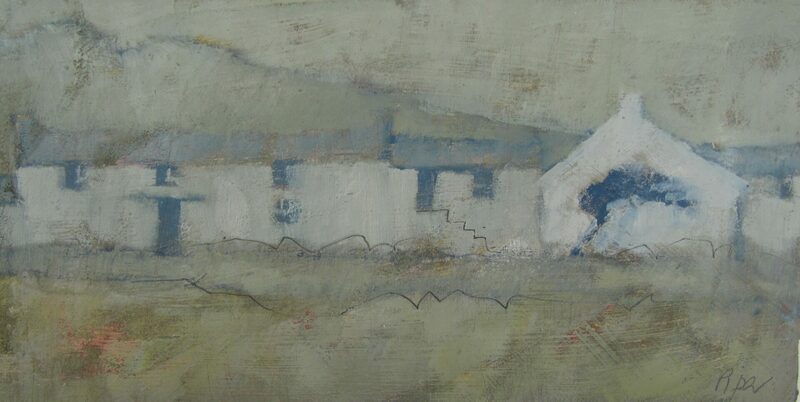 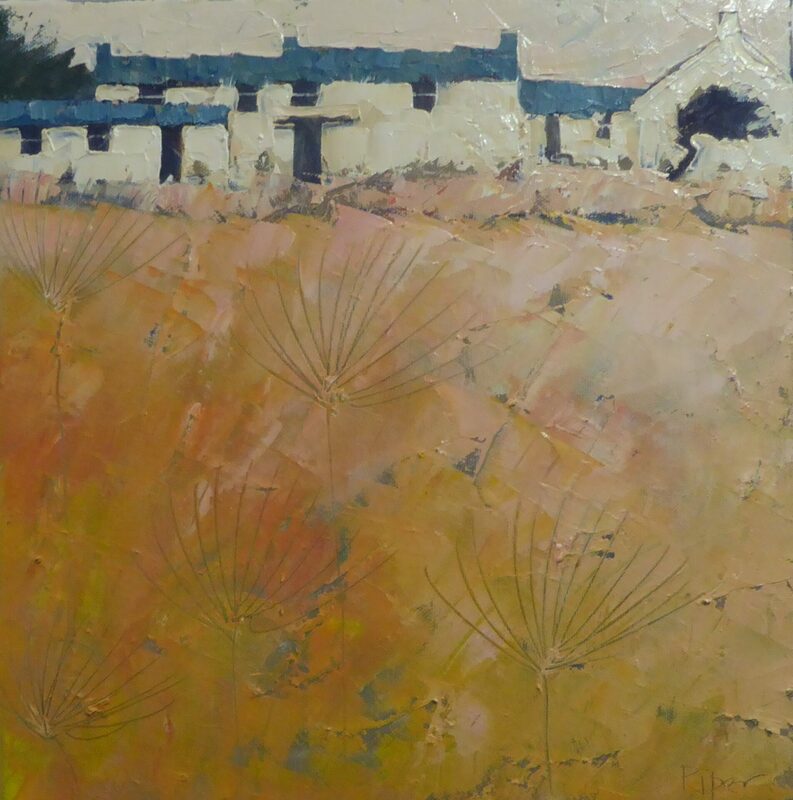 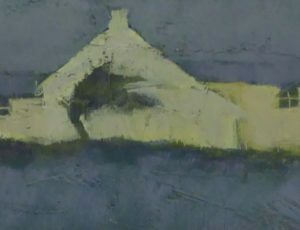 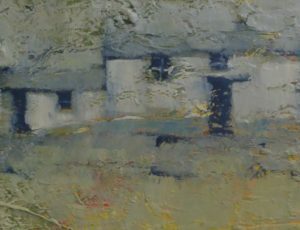 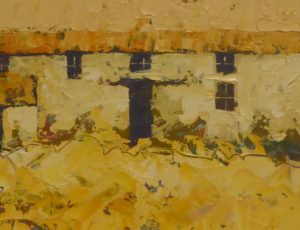 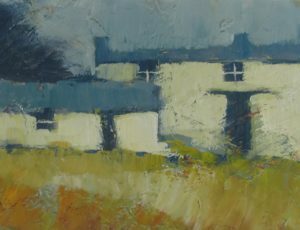 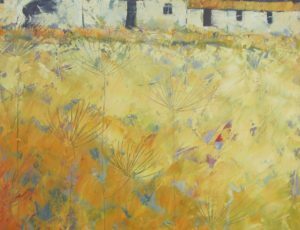 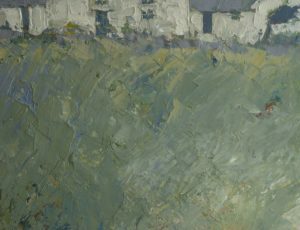 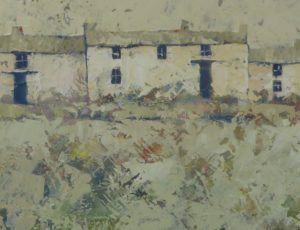 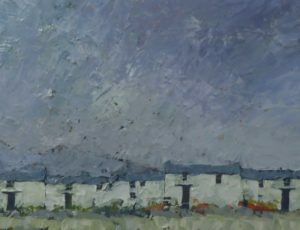 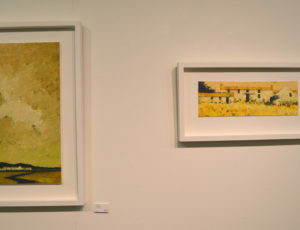 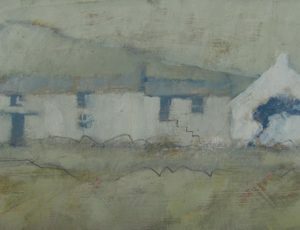 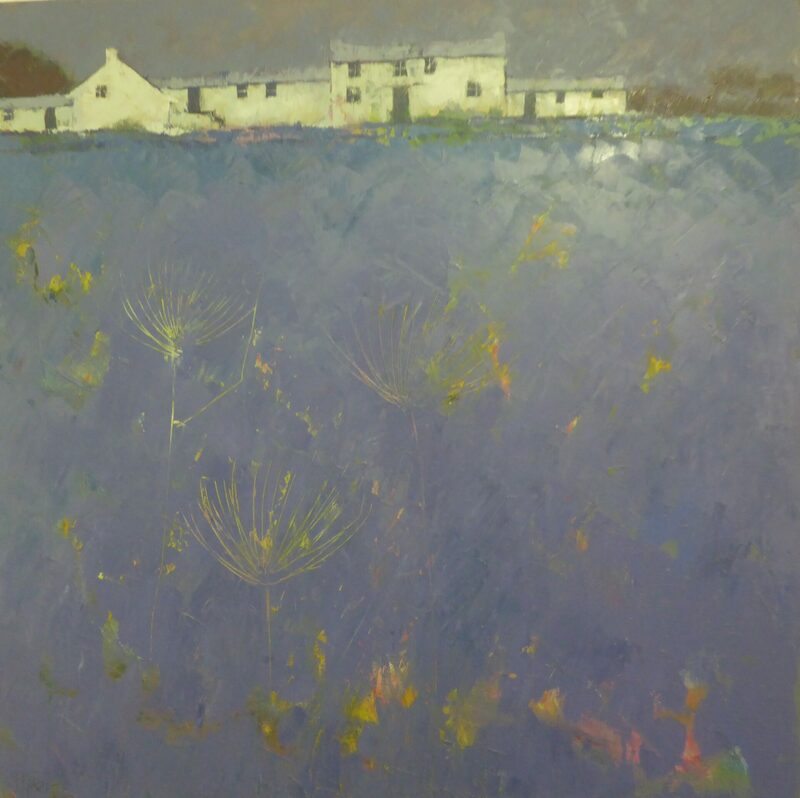 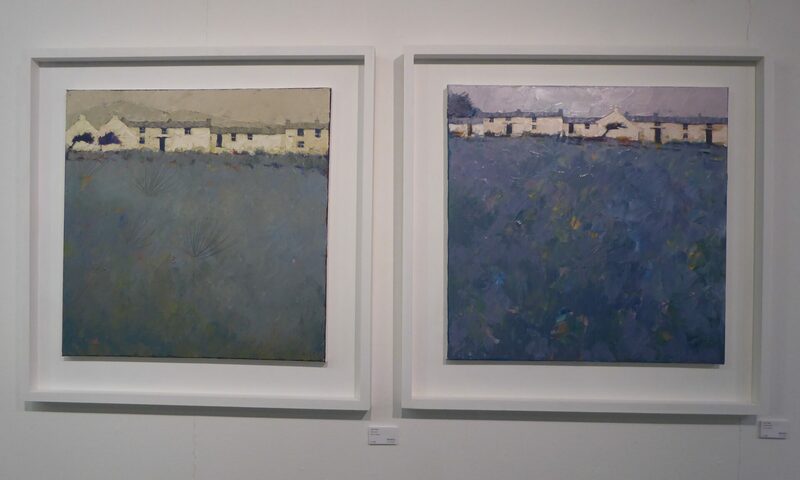 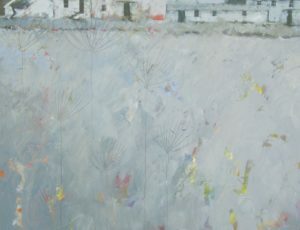 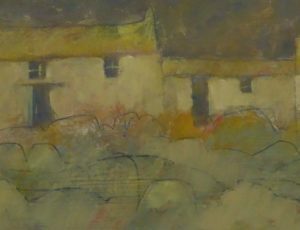 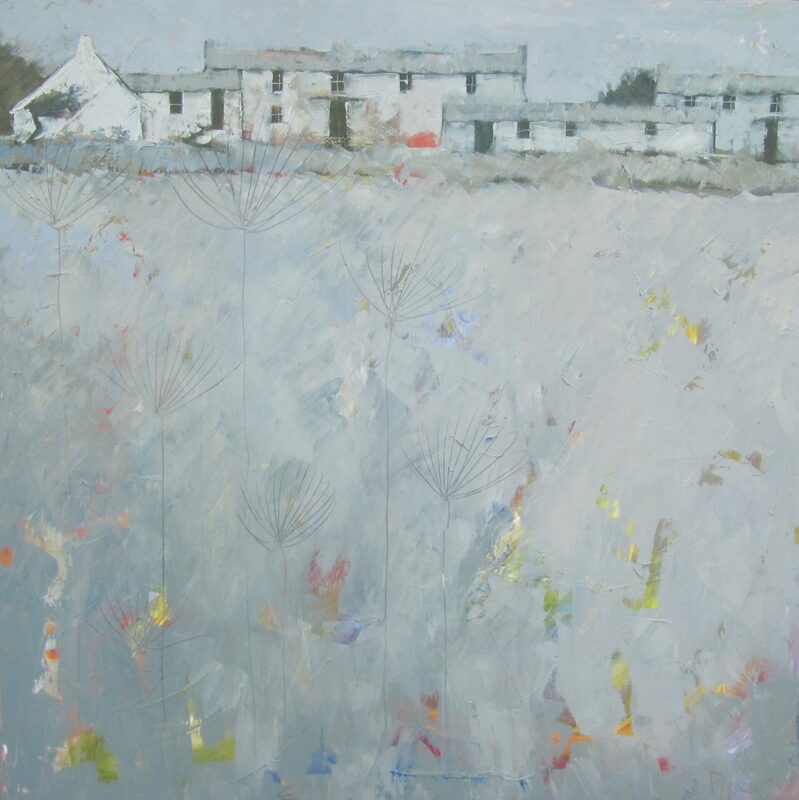 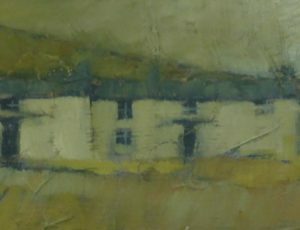 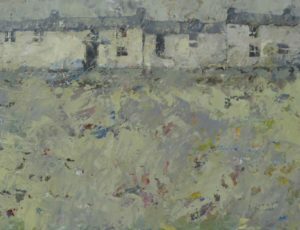 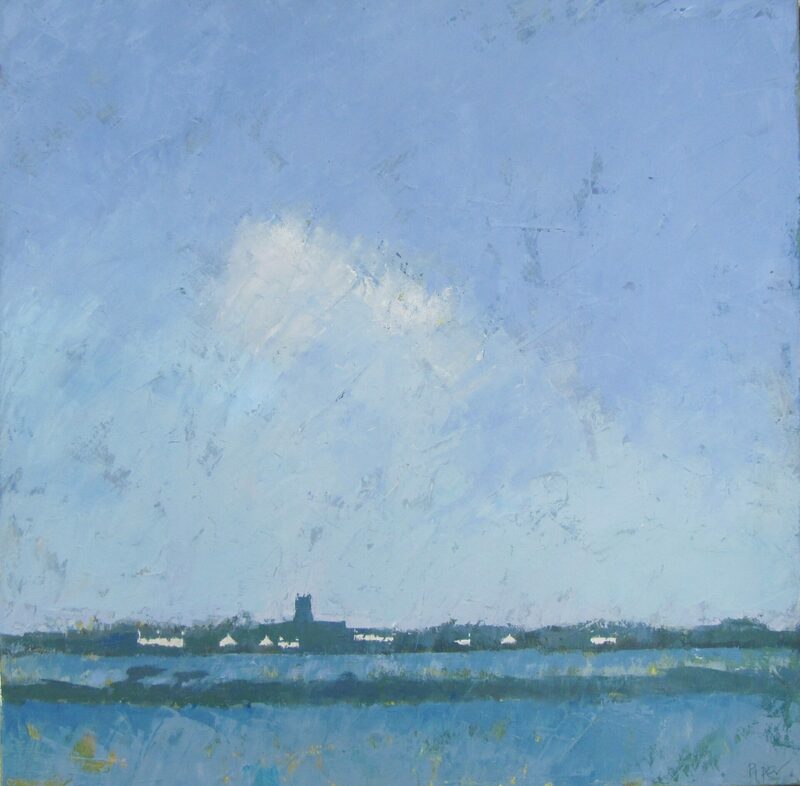 Simple – almost childlike – depictions of cottages and blackthorn trees dominate his paintings, leaving out everything but that which is needed to register a feeling of place. 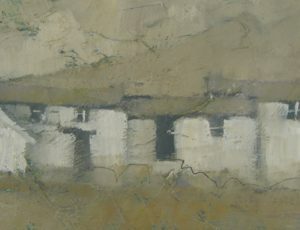 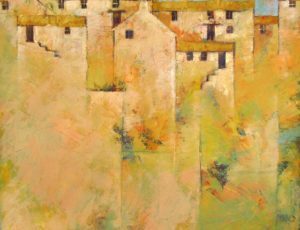 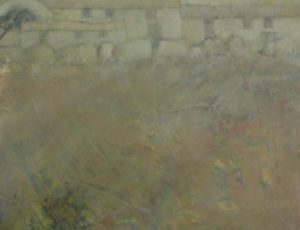 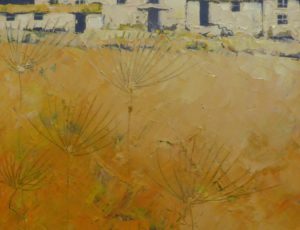 Often these recognisable elements are restricted to one part of the canvas, allowing texture and colour to predominate. 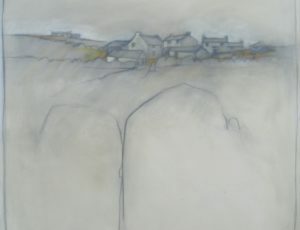 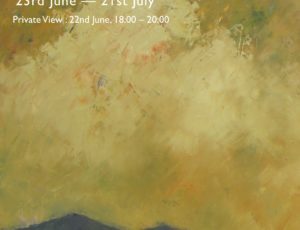 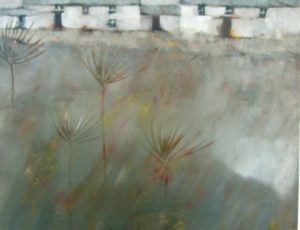 The present exhibition at the Penwith is John’s third one-man show here. 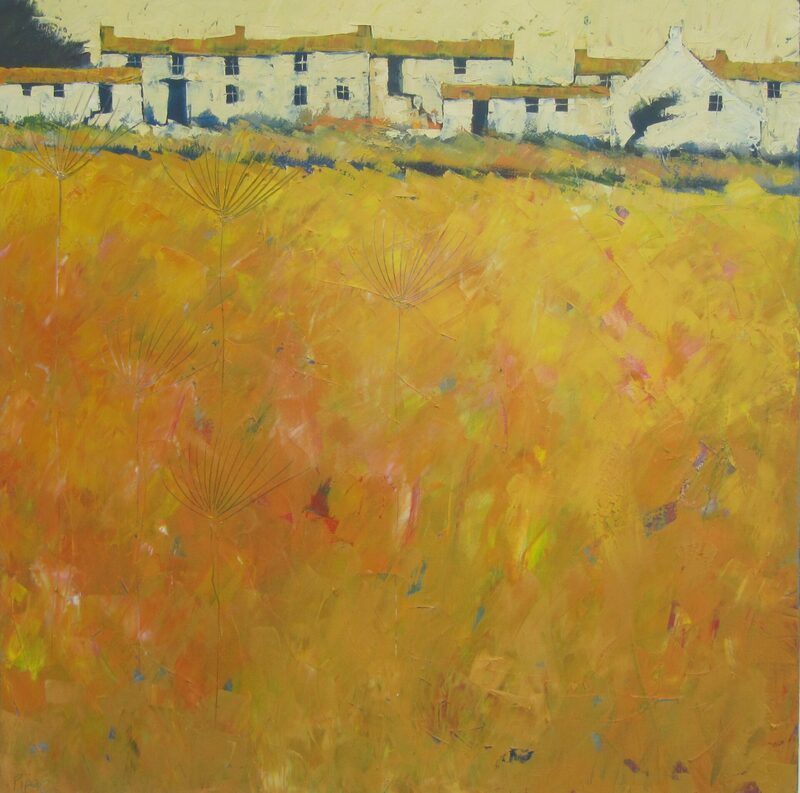 He has also had two two-man shows with fellow member of the Penwith Society and close friend Michael Praed. 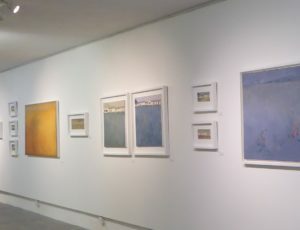 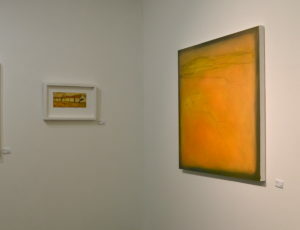 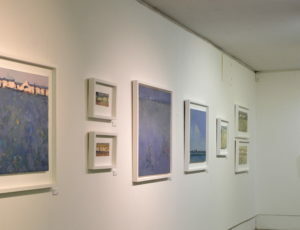 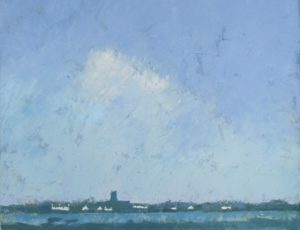 He regularly exhibits in the full members’ shows at the Gallery and has exhibited widely throughout England and abroad, with one-man shows in London, Antwerp and Brittany.